'Business is Great', but train cleaning is not as great! 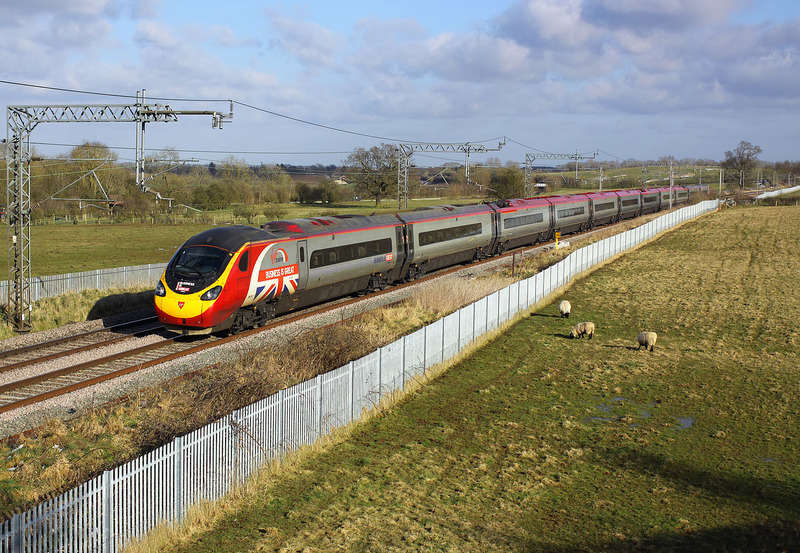 Rather dirty 390151 speeds past Gayton on 19 March 2018 with the 9G29 15:23 Euston to Birmingham New Street Virgin Trains service. With trains passing every few minutes, the sheep are totally used to the sporadic noise.